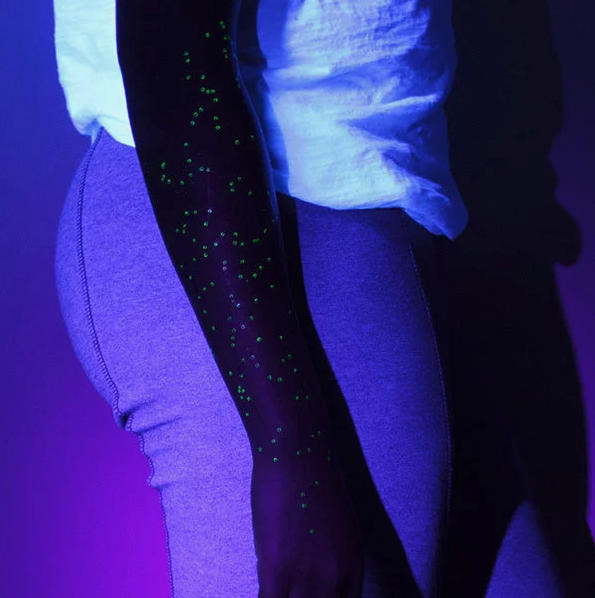 We're talking products that are truly out of this world. 1. 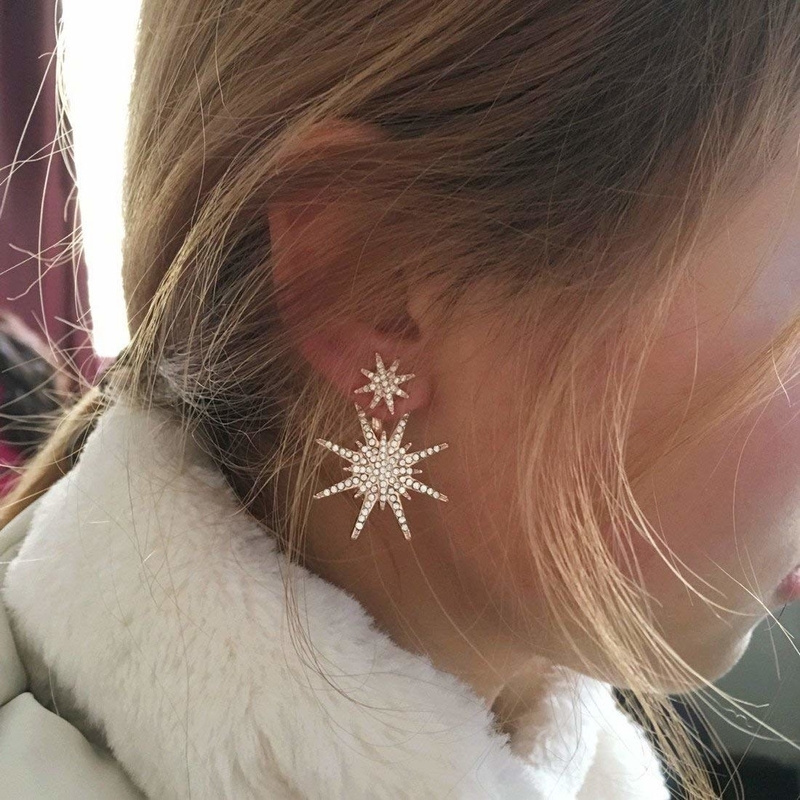 Truly ~stellar~ ear jackets you can wear as dangles, or simply unhook the bottom star to wear them as simple studs. Get them from Amazon for $8.58 (available in yellow gold, rose gold, and silver; also available in a two-pack of gold and silver for $11.98). 2. 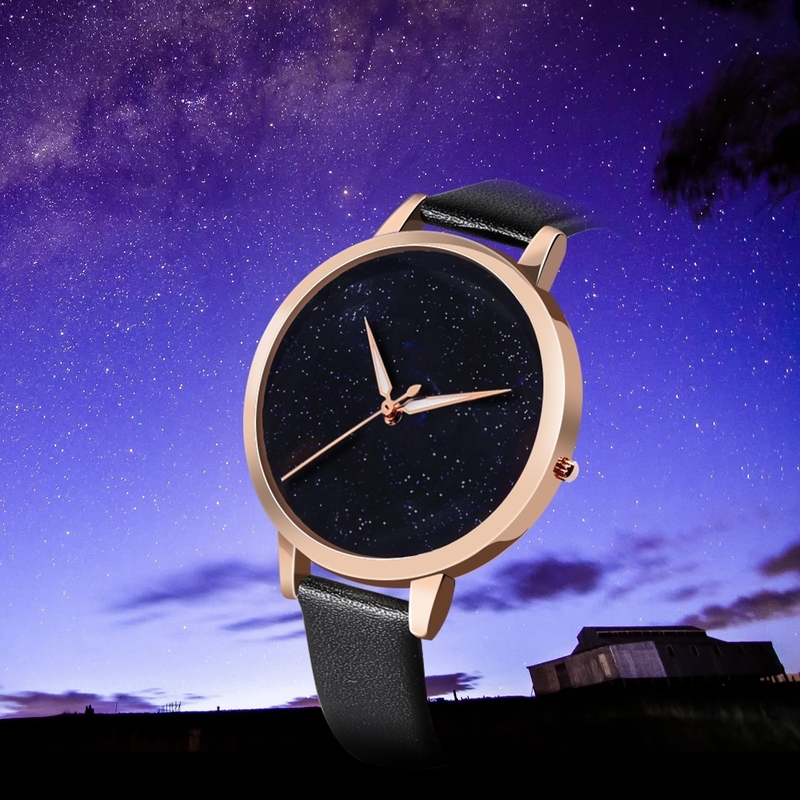 A custom framed print featuring the exact night sky of the time and place of your choosing. This is perfect for commemorating a birth, anniversary, or any meaningful life event. 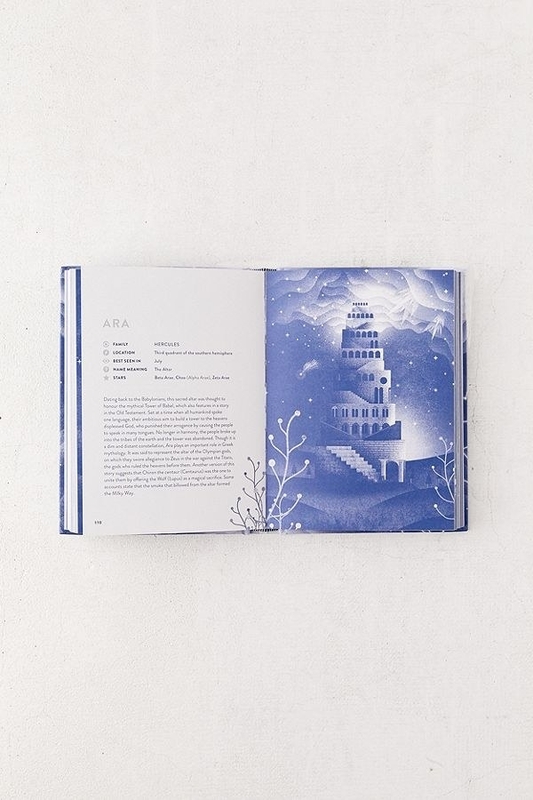 Just supply the title ("forever began" in the photo example above) to explain what the event is, the date and location, and the color ink you want in the "note to seller" box when you purchase. Easy peasy! Get it from Finch and Cotter on Etsy for $32+ (available in two sizes and with two frame colors). 3. A strand of battery-operated string lights so you can take the word "starlight" very literally. The 17-foot strand has 50 stars along it, which you can either have totally on, totally off, or flashing on/off. Get them from Amazon for $10.49. 4. Or hanging curtains of twinkling star lights of various sizes to make a stunning photo backdrop or magical statement wall. These have a whopping EIGHT light modes, including twinkle, wave, and slow fade. Get them from Amazon for $17.88+ (available in both cool and warm whites). 5. A cosmically gorgeous BH Cosmetics eyeshadow palette with 18 pigments (you can use wet or dry) inspired by all eight planets in our solar system (plus pluto), and other celestial bodies. Get it from Ulta for $18, BH Cosmetics for $18, or Amazon for $21. 6. A radiant, sequin-embroidered sheer duster so when you walk, you'll twinkle like the night sky. 7. A hardcover notebook with a star wheel on the front you can rotate to see the visible constellations at any specific date and time of the year. Plus, it has space-themed facts and images inside to inspire your further cosmic exploration (safely from planet earth). It works best for the northern hemisphere, FYI. Get it from Amazon for $12.81. 8. A gold foil constellation-print sports bra and leggings set for the fitness enthusiast whose goal is to ~reach for the stars~. I have the bra and it's so cute irl (but runs snug)! Get the set from Target: the sports bra for $19.99 (available in sizes XS–XXL) and the leggings for $29.99 (available in sizes XS–XXL). 9. A gold foiled celestial journal to inspire equally lovely reflections of your day. It spans five years, and each day only has a few lines so you can keep it short and sweet. And compare different March 23s across five years! Get it from Amazon for $14.16. 10. Sheer curtains with metallic designs so you can stargaze, even if you live in a city and can't actually... see anything up there. Get them from Urban Outfitters for $39 per panel (also available in sheer white with silver stars). 11. 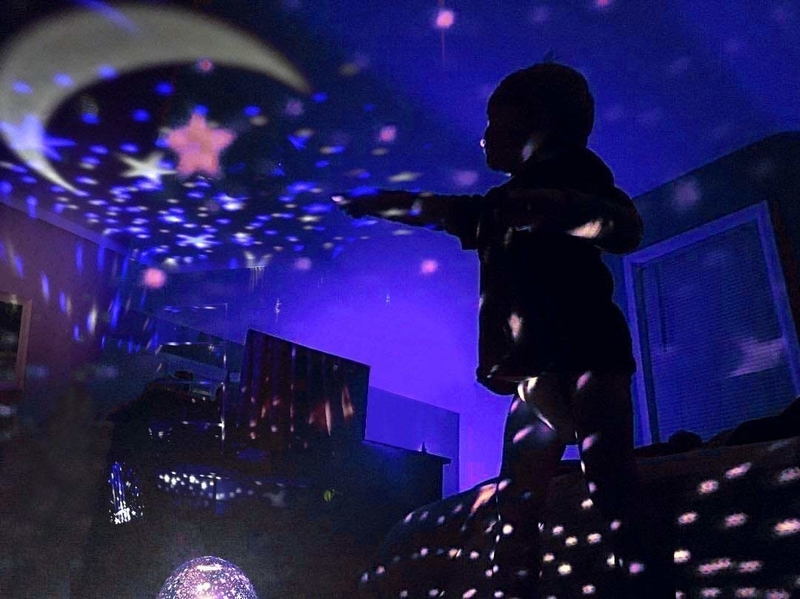 A cosmos projector that'll basically be a game-changer for kids and adults alike. 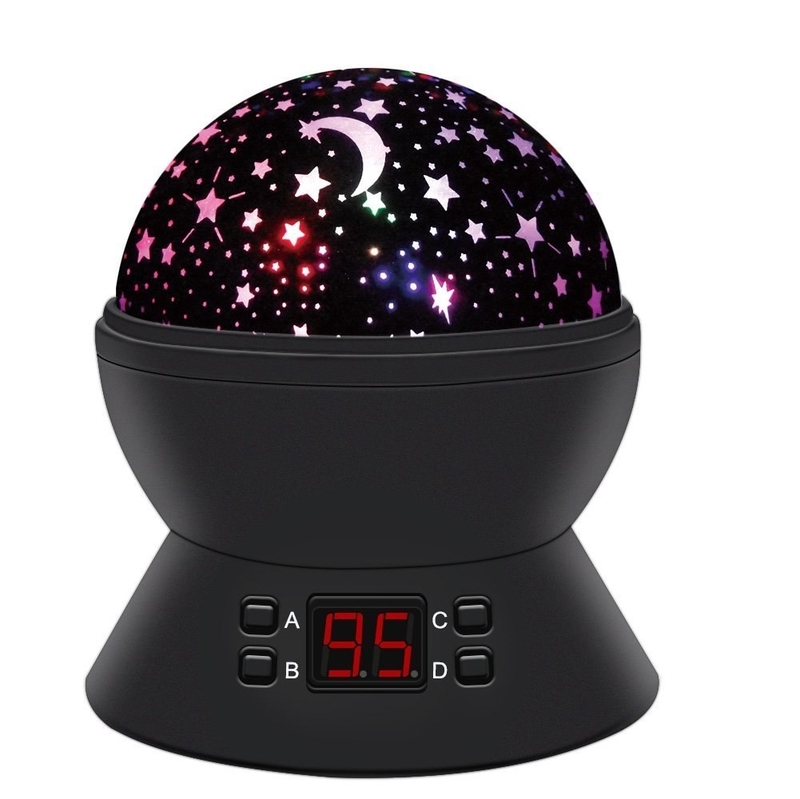 You can set it to auto-shut off after anywhere from 5-95 minutes, AND you can customize the colors for your most soothing stargazing experience). Get it from Amazon for $23.99 (available in three colors). 12. A sheer mock neck top featuring an embossed velvet design that'll make you a ~fashion superstar~. Get it from Forever 21 for $35 (available in sizes S–L). 13. On-the-go notebooks with plenty of ~space~ to record all your adventures, fact or fiction. Get them from Nikki Strange on Etsy for $6.70 each or the set for $12.09. 14. A vintage-inspired poster that'll be like taking an astronomy class — all you gotta do is look at your wall. And maybe watch a few episodes of Cosmos, too. The hanging kit is included, so you can get it up ASAP. 15. Sheer metallic tights with truly ~universal appeal~. Get them from Amazon for $7.50+ (available in sizes S/M and L; also available in 26 other tights designs). Promising review: "I tried to think of any cons when I bought, received, and wore these stockings/tights. None thus far! Got them nicely packaged three days after I placed the order. I bought these star tights to match anything casual or celestial — black and silver. The stars on these are bright and noticeable, sparkle a tinge in the light, and don't stretch awkwardly. The tights themselves fit perfectly, not super tight and clingy, and not loose. I've worn them three times now, and I can tell you they haven't tore in any way and I honestly don't think they will for a while (I have two teething clawing puppies, it passes the test so far haha). Just an honest good buy :)" —Kori A. P.
16. 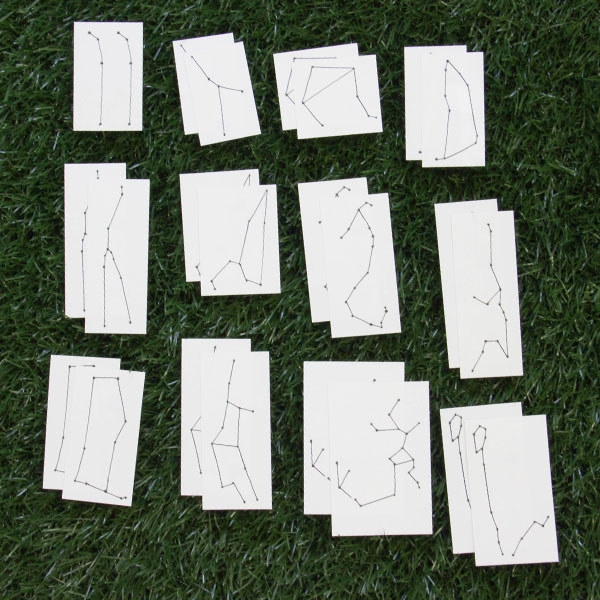 A set of 24 constellation temporary tattoos — spoiler alert: the stars GLOW IN THE DARK!! 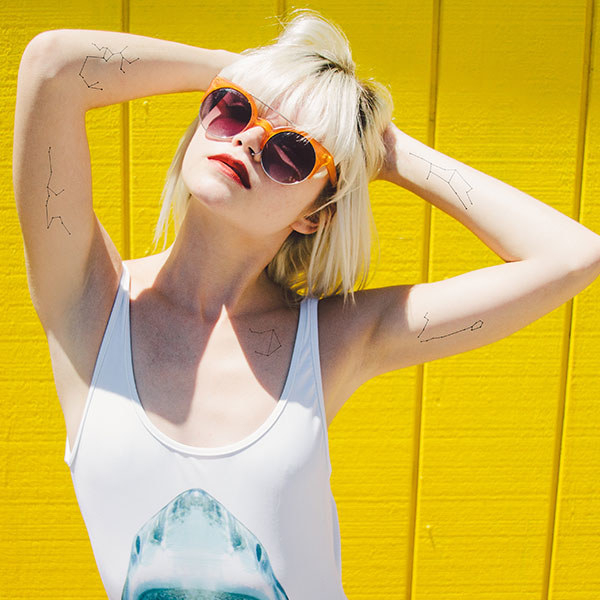 Get the set of 24 tattoos from Amazon for $10 or Tattify on Etsy for $9.99. 17. A golden sipper cup that'll help you shine bright (aka not spill your drink all over everything and everyone). Get it from Urban Outfitters for $5.99 (originally $12). 18. A heat-changing mug so you can make your morning brew a bit more ~heavenly~. When a hot beverage is poured in, lines magically appear around the stars to show you how they form constellations! 19. 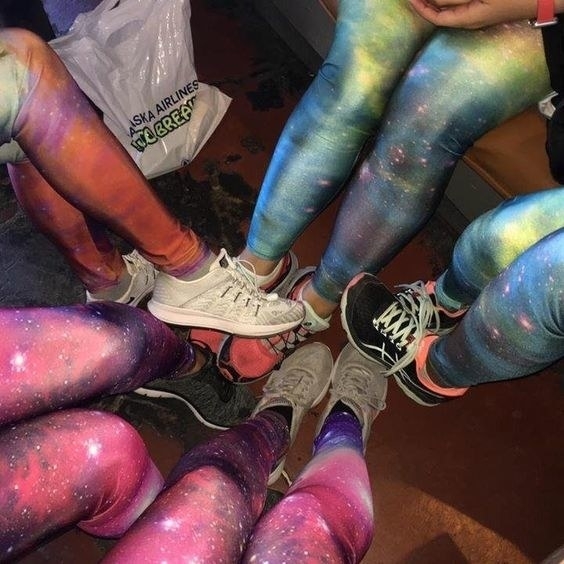 A pair of much-beloved (they have over 1,200 positive reviews on Amazon) galaxy-print leggings for a match written in the stars. Didn't you read your horoscope this week? Get them from Amazon for $9.99+ (available in sizes and XS–2XL and 10 different galaxy patterns, plus 21 other patterns) or a similar version from Walmart for $9.99+ (available in sizes S–4XL and one color). 20. 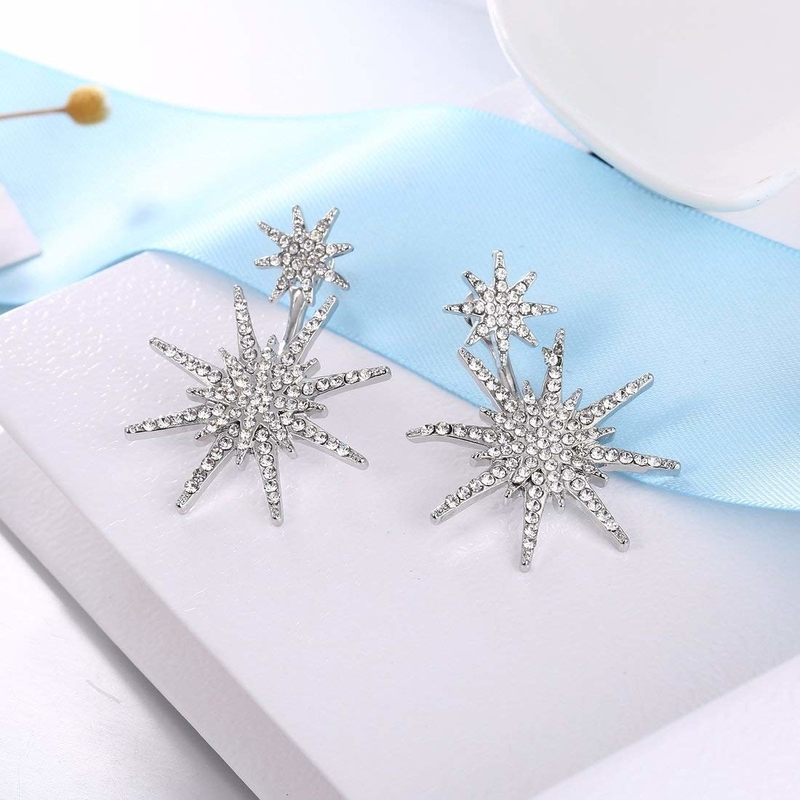 A dainty ring with cubic zirconia stones in the shape of your zodiac's constellation. Get it from Amazon for $15.99 (available in ring size seven, all 12 zodiac signs, and in gold and silver). 21. Or if you're looking for more of an investment piece, a 14K gold band hand-engraved with your sign's constellation (and your partner's — you can add one or two on each ring!). Get it from Catbird for $1,650 (if you add diamonds, the price goes up $200; also available in a wider band size, pictured all the way on the left, for $2,000). 22. A bra and undies set so you'll shine brighter than the sun itself. Get the set from Torrid: the bra for $24.90 (originally $34.90; available in sizes M–6X) and the undies for $13.90 (originally $18.90; available in sizes M–6X). 23. 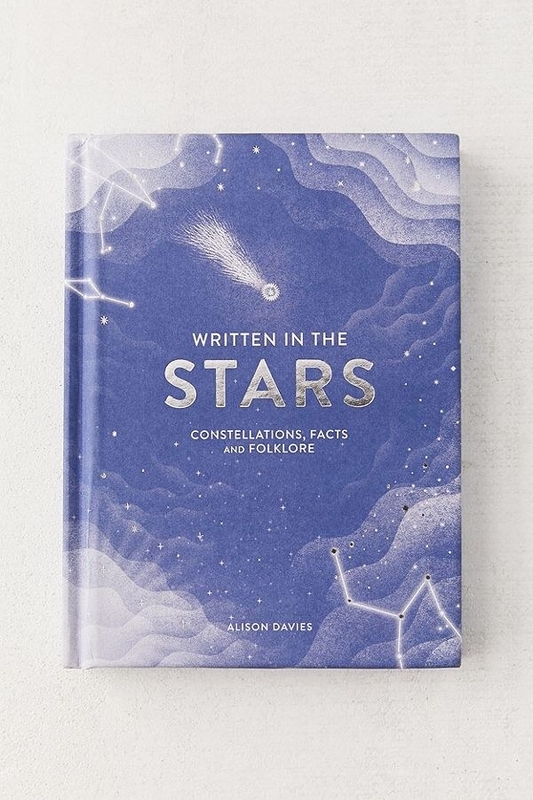 Written in the Stars, a book about the 88 constellations in our sky, including scientific facts and figures, plus the legends and myths behind the stars themselves. Get it from Amazon or Urban Outfitters for $16.99, or at a local bookseller through IndieBound. 24. A printed beanie (with LED lights built in!) to keep your head warm with the fire of a thousand burning stars (ok not THAT warm). Get it from ThinkGeek for $19.99. 25. Or a tulle skirt printed with a real NASA image of the Milky Way. AND it comes with a 60-LED light strand under the skirt so you can twinkle, too! Get it from ThinkGeek for $59.99 (available in sizes S–3X). 26. 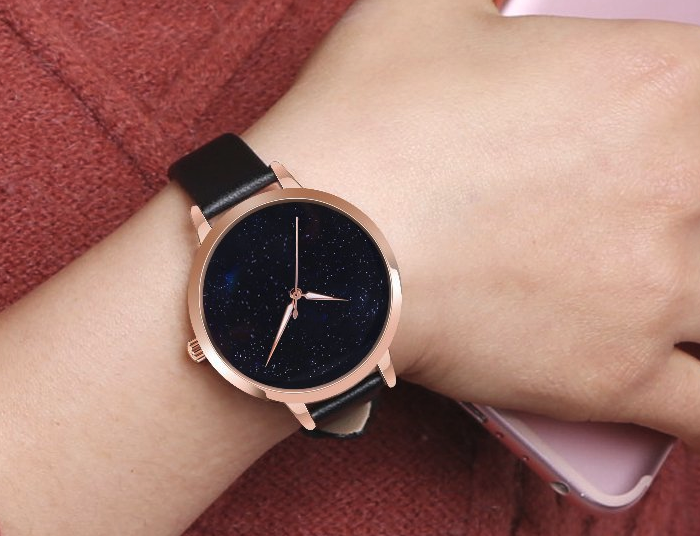 A minimalist watch with super-subtle background glitter on the face to mimic the starry night sky. Get it from Amazon for $16.99 (available with five watch band colors). 27. And a beginner-friendly telescope for a little space exploration in your backyard. The tripod is easy to set up, plus it packs away neatly in a backpack for easy storage and transportation. So the next time you go camping or to the desert, bring this bb along for an amazing view. Get it from Amazon for $74.65. Promising review: "For the price this is a steal! Got this telescope for my grandfather for his birthday. He is outside a lot on the patio at night and always watches the stars so I figured it was time to give him, what he never knew, he always wanted. A great beginner scope! After focusing the scope properly and taking a glance at the moon it almost feels like you could reach out and grab it. Wonderful!" —Dr. Han Solo M.D. You're a star! Just listen to Neil deGrasse Tyson here.